The Nexus 6P has been in and out of stock in the US, but in most of the rest of the world, it's never been in stock at all — until now, that is. 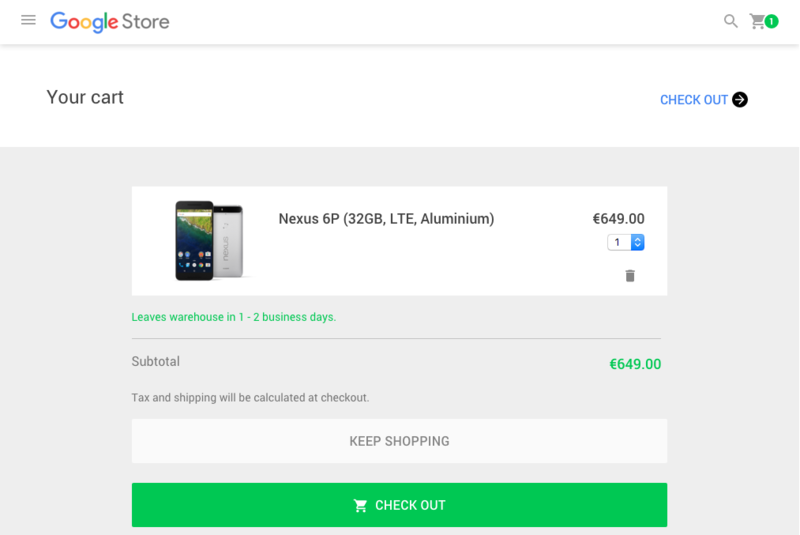 We've received a few tips from our readers that the Nexus 6P is now being sold in the Google Store in several countries across Europe, and possibly even beyond that. So far, we're aware of availability in Germany, Spain, France, the Netherlands, and Portugal, but the same should be true for all the countries with the Euro as the official currency. The Nexus 6P arrives a little later than its younger sibling, the Nexus 5X, which became available three weeks ago, but hopefully it's here to stay. Prices start at €649 for the 32GB model and go up to €799 for 128GB. As with the Nexus 5X, Google will throw in a Chromecast if you order before December 8th in Germany, France, Spain, and possibly a few other countries as well. Last week, the Nexus 6P became available in Europe, but only in its 32GB and 64GB incarnations. We've just confirmed that the 128GB version is now in stock in at least Germany and Portugal, and it's highly likely that this will also be the case for the rest of the Eurozone, if not the rest of Europe. If you were waiting for it to go on sale, this is your chance to buy one. For the time being though, the Frost color of the 128GB variant is the only one that isn't yet being sold, but it's labeled as "Coming soon." The 128GB retails for €799 with shipping and tax included in most of Europe, and you can check out prices in other countries in our price roundup.